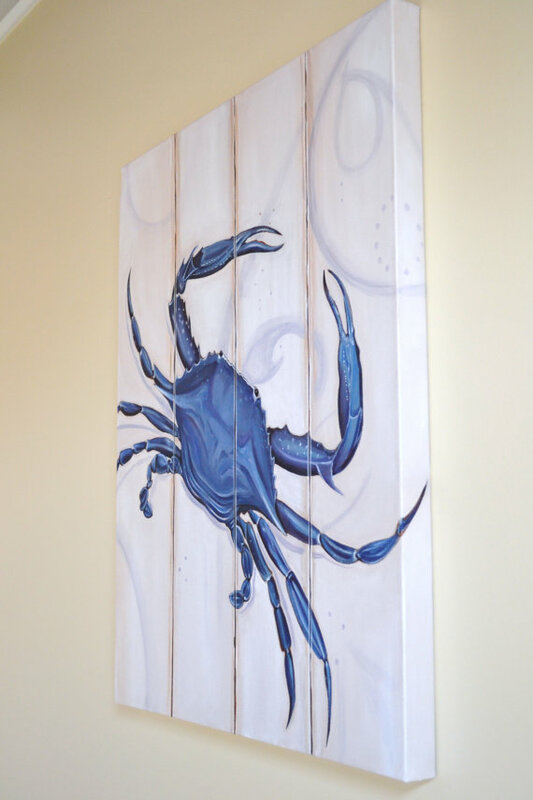 This blue crab is for any crab fan! Painted with Acrylic on wide gallery wrapped canvas. 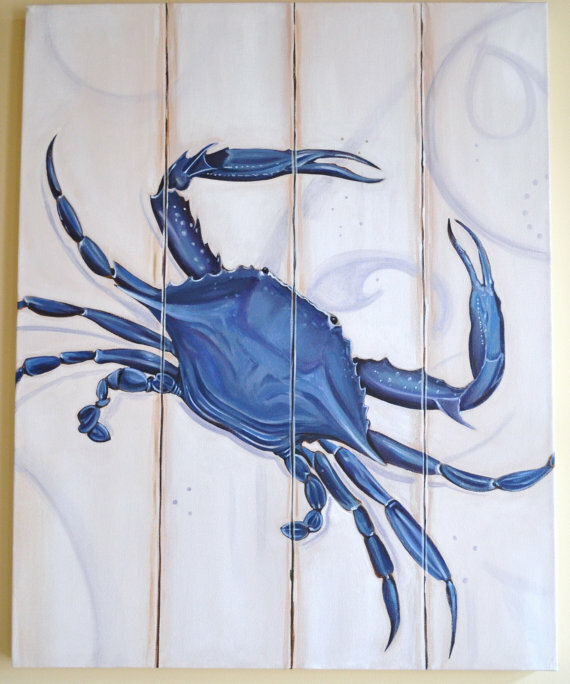 The vertical lines in the background give the illusion that the crab is painted on weathered wood slates you may find on a pier. Excited that this canvas is now available in canvas prints. You can order this canvas as a print and have it personalized with titles such as, "Fresh Seafood," "(Your last name)'s Crab Shack," (Your last name and Establishment Date of your home) and more.